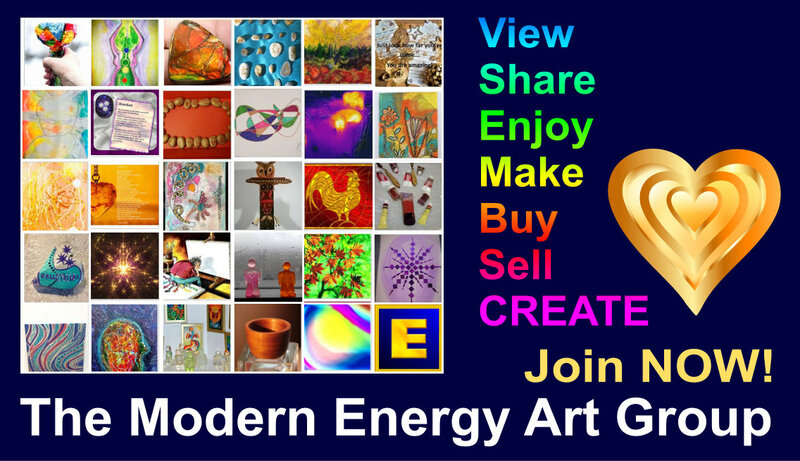 One of the core concepts of Modern Energy Art comes straight out of Modern Energy theory - namely that we have infinite different aspects as we go through life, and they are all different. We don't want to compete with other artists (that's an idiotic idea if ever there was!) but we most certainly do not want to compete with our own aspects. A three year old aspect paints a vase of flowers in crayon. Now you're 45 - can you do "better"? Of course you can't do "better." Every aspect creates their own art from their own time and space, and it is ALWAYS PERFECT. What happens when we accept this? Well, for one thing, we don't have our own older wiser future aspects sneering down the timeline at us! Instead, we gain a tremendous amount of love for the aspects of the past, who tried so wholeheartedly to do their best, often in very difficult situations. This is so, so healing and empowering. But moreover, we gain that sense of love and support from the future aspects - and if we really open ourselves to that, we are literally lifted on a wave of love and support. So, now to the question of whether you can mess with another aspect's work of art. Call on the aspect and have them be in the room with you. Together, you can look at the work of art and discuss if it needs anything else, and if so, what it needs. This is the exact same process we employ in "editing" writing, or music created by other aspects. 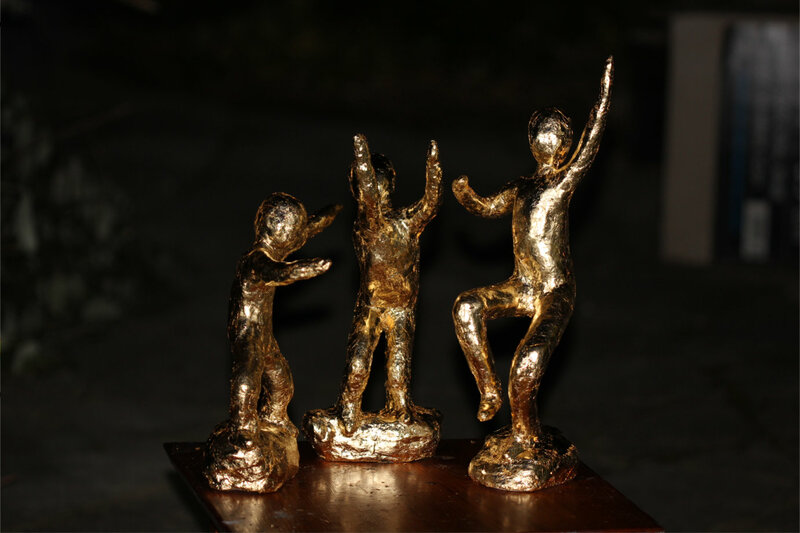 And the same process I employed when I looked at a set of three sculptures, "The Dancers" and wondered whether my aspect who imagined them, and made them, would mind if I gold leafed them, now and many years later. The aspect was delighted and assured me that they had envisioned The Dancers as golden and shiny, and had been very disappointed with the result, having used acrylic gold paint that just wasn't shiny enough. So "I" set to work and gold leafed The Dancers, and I was excited, and so was the original aspect across time and space. Including The Dancers who look as though they are really dancing now in changing lights with their reflections. It's one of those things with art that we are entrained to think that once you've put your signature in the wet clay, or the wet paint, that's it. A static object that now remains immune to time passing, and the journey unfolding. It's nice to reach out across time and space and collaborate with past aspects.